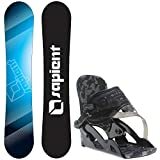 The Sapient Fader Youth Snowboard with Rossignol Battle V1 Bindings is a perfect board for those people who are planning to jump into the battle field. All the features of the board are designed in such a manner that you can use it no matter you are an intermediate level rider or an entry level. Tired of searching for the right pair of bindings along with an excellent snowboard? While Sapient eliminated it by providing you snowboard with a nice pair of bindings. Bindings and a snowboard combination is designed to work with each other in the best way possible which is exactly what you’ll find in the Sapient Fader Youth Snowboard with Rossignol Battle V1 Bindings package. Now you can enjoy snowboarding at its peak and can try any tricks by using this combination. Quality materials are used for making snowboard and bindings. Therefore, if you are a quality conscious person rather than quantity conscious, then this combination is a right choice for you. You can give the Fader a name of an all-terrain beast as no matter how uneven the terrain is, your ride smooth if you are using Fader for it. The directional twin shape of the board gives it a versatile look. The core of the board is made up of wood which is covered with cap construction. Your board will remain new even after using it for years. 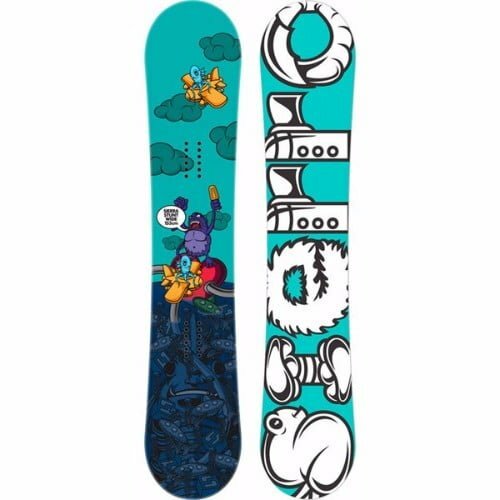 The Sapient Fader Youth Snowboard which includes the Rossignol Battle V1 Bindings is designed for those people who are about to enter in the snowboarding world. All the features are designed in such manner that you can easily learn snowboarding safely and smoothly. However, if you are intermediate and want to learn new tricks, then this board is also meant for you. 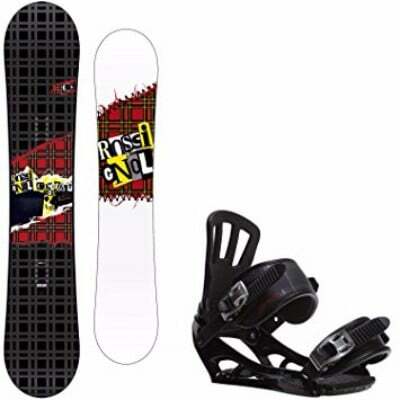 From the boot size ranging from 6 to 8, these Rossignol Battle V1 bindings are perfect. The bindings are designed in such a manner with straps on the top. This strappy design makes it easy for any feet size to get adjusted in the boot. The overall length of the board is equal to 144 cm which is quite ideal for such a board. The weight capacity of the board is ranging from 75 to 125 lbs. There is a one-year warranty on this board so that you can have tension free rides. All the features are available to you in the shape of this board at an affordable price. Strong power transmission is provided to you in the shape of this board due to its CPU base plates covered with puffy pads. 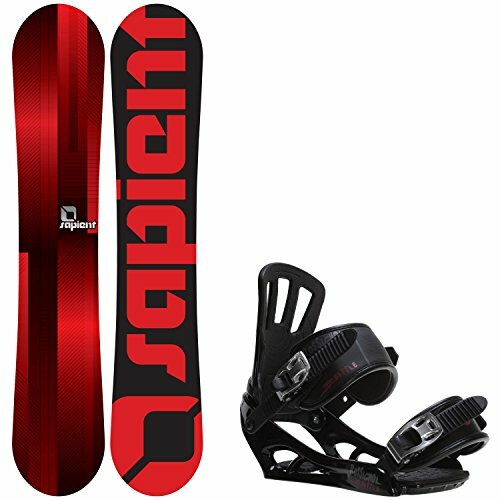 The Sapient Fader Youth Snowboard with Rossignol Battle V1 Bindings is a perfect board for those people who are planning to jump into the battle field. All the features of the board are designed in such a manner that you can use it no matter you are an intermediate level rider or an entry level. The base of the board strong with perfect design. Bindings are also designed for making your rider comfortable. You can smoothly start your ride by using this board and can have soft landings. 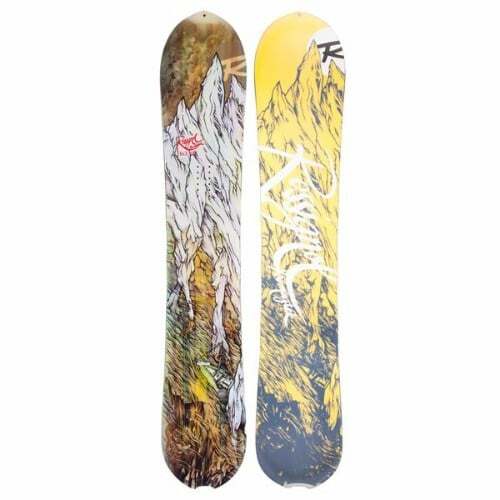 The price of the board makes it easy for you to purchase this board.